8ft cord is long enough to reach the back of a computer in computer labs. dual 3.5mm plugs for separate headphone and microphone inputs, such as computers and sound cards. 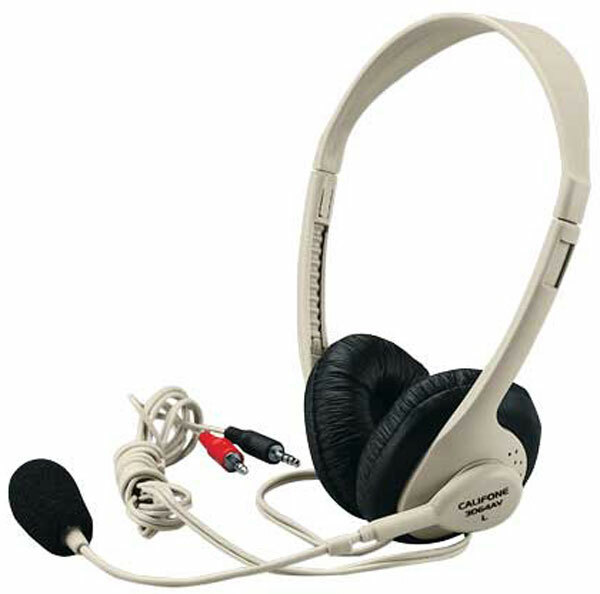 Compatible with any computer that has both a 3.5mm headphone and microphone jack. Flexible boom mic rotates up out of the way when not in use. Foam boom minimizes wind noise. Note: Cord no longer includes a volume control.